Apple MacBook Pro set for complete makeover? Apple could be set to give the MacBook Pro a whole new look, its first design makeover since 2008, if insider sources are to be believed. No clues have surfaced as to what this new design will entail, but it is said to be already under development, described by one sources as a "milestone" for the MacBook Pro range. 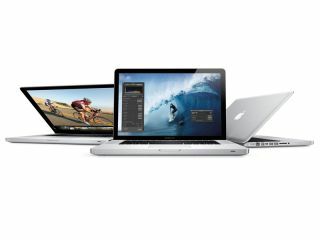 The latest MacBook Pros were unveiled in February this year and were the first to include high-speed Thunderbolt file transfer. The design, however, was largely the same as its previous iterations, with the now-familiar aluminium unibody casing. The other Apple computing chitchat today is that we may see the next iMac refresh surfacing next week, complete with Thunderbolt connectivity. Apple has dispatched delay notes for iMac orders speaking of 'unexpected delays' and promising delivery in week commencing 2 May, which seems to confirm insider tips that the new breed will be revealed the same week.